As voters go to the polls next week in a special election for Iowa Senate District 30, the Democratic party is launching false attacks in their effort to prop up their weak candidate with a terrible record. “Eric Giddens is waging a despicable campaign against Walt Rogers. 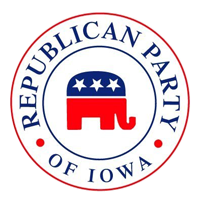 His attacks are desperate lies and a last-ditch effort to distract voters from his record of raising taxes on Iowa families and supporting extreme left-wing policies that Iowans don’t support,” said Republican Party of Iowa Chairman Jeff Kaufmann. “The voters of Waterloo, Cedar Falls and Hudson know Walt Rogers is a champion of education. He delivers on his promises of more education funding for our K-12 students, including record levels of funding passed during his time in Des Moines as well as eight years of funding increases for UNI,” said Kaufmann.